AKKINENI INTERNATIONAL FOUNDATION Announced 6th ANR Award for the year of 2010. 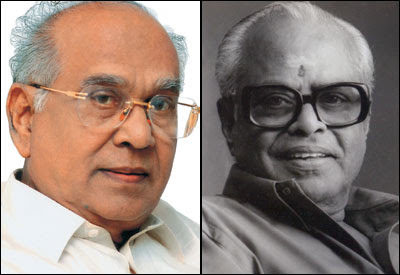 The Awardee is Padmashri Dr. K. BALACHANDER – Writer, Director & Producer Will be honored with Memento, Citation & Rs. 4 Lakhs Award presentation Ceremony will be held on 11th January, 2011 At Shilpakala Vedika, Shilparamam, Madhapur, Hyderabad. In Moments of reflection, I am amaged with the path my life had taken. Eight decades of trials and tribulations, agony and ecstasy reels through my mind. A career that I had never anticipated – rare and unique, laced with opportunity and challenge. It was a path that had transformed a psyche of simple farm hand into one in an ambience of Art. The arduous trek, from my village to an incomplete schooling, the responsibilities of household chores as the youngest child, visits to the meadows stretching into the horizon. What was my destiny? My life was the answer. Hard work, commitment, sincerity and integrity – values that would never fail any individual. I arrived at Madras, with a vague sense of anticipation, amphora and hope, on the 8th day of May, 1944 into the punch of cultural shock. It was not disappointing but a revelation. I was invariably presented with the right path at every step. Was it luck or determination? I surmise it is a combination of both. I was accepted, encouraged and elevated in a developing world of Cinema. From time to time, I was offered that reflected the trend of those times – a folk lore hero, a social heart throle, a romantic Prince or a tortured soul driven into a drunken tragedy. There were over 250 films since 1940 – a good portion of them touching the hearts of the audience. Every success indicated my confidence and every challenge motivated me to face adversity with courage and determination. 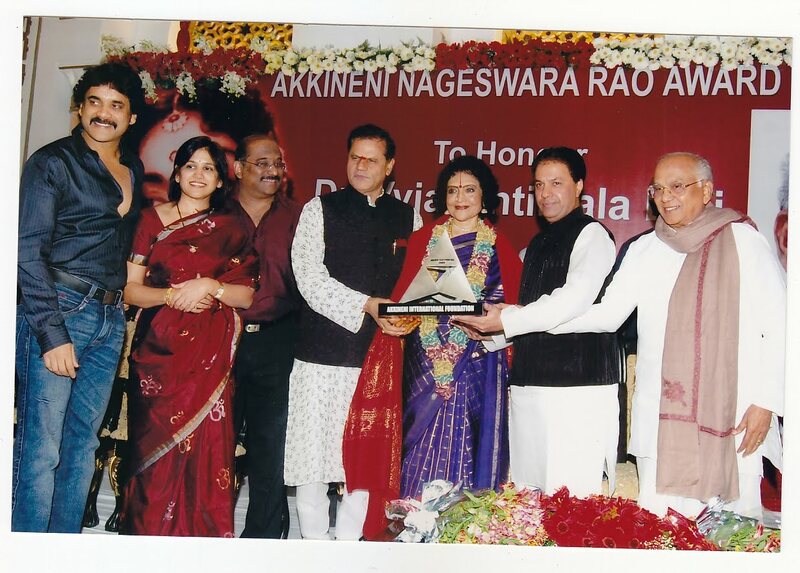 I had the great privilege in partnering the development of the Telugu film Industry. The stakeholders reposed unflinching faith in me and offered me challenging roles without hesitation. Success gushed forth in abundance – fame and awards followed. The world of Cinema has made me what I am today – a hero and, more importantly, an individual. Invitations from the Governments of the United States of America, Britain, France, Germany and Russia, as an ambassador of Indian Cinema exposed me to the world of different cultures. It had broadened my horizon and imported certain clarity of thought. I have a closely knit family – a noble wife, able children and affectionate grandchildren – all a source of joy. What else does one want? Where are these gifts from? Far some they were God’s; for me they were a blessing of my foster mother – the silver screen. The industry nurtured me as a wide eyed teenager. It taught me discipline and the facts of life, both as an artiste and an individual. To her i owe a debt that I cannot repay. 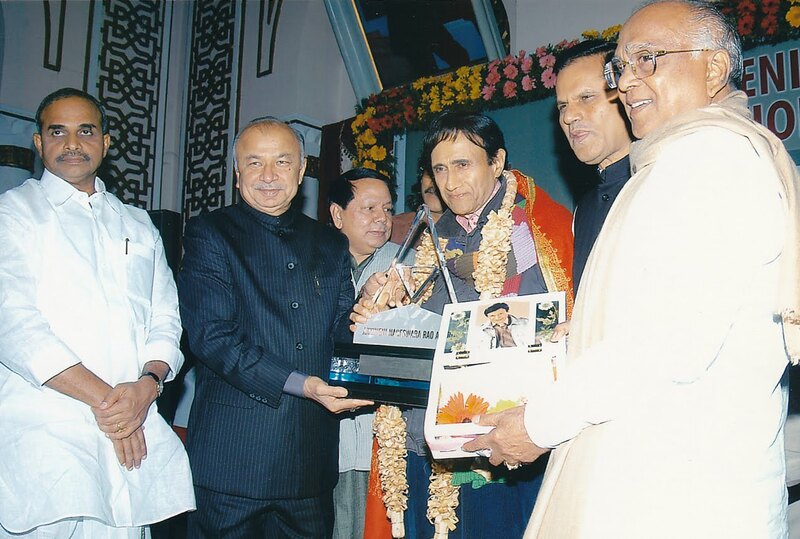 I was invited in 1991 to Delhi to receive the Dada Saheb Phalke Award. The imposing hall, in all its regalia, was adorned with several dignitaries. I climbed those steps to the dais with humility and respect to be greeted by the President of India. Those were poignant moments. A sense of gratitude pervaded my being – gratitude for my industry that had me facing the Nation, represented by its President. The awards I had received earlier – Padmasri and Padmabhushan, Raghupathi Venkaiah Award and NTR National Film Award from Andhra Pradesh, Anna Award from the Madhya Pradesh, Honorary Doctorates from Universities and more were given to me as an Artiste. However, this Award was also for my contribution to the development of the Film Industry. It was during these moments that a thought struck me. I had to pay obeisance to the industry; I should institute an Award as a taken offering towards a debt of gratitude. I had similar feelings earlier. I had missed formal education which has left me longing for it. I, therefore, donated to establish ANR College, near my native place. Instituted scholarships in all South Indian Universities and Bombay University. I partnered in the production of value based films and built Annapurna Studios at the expenses of a personal fortune. I, however, had to honour my colleagues who had made outstanding individual contribution to the Movie Industry. 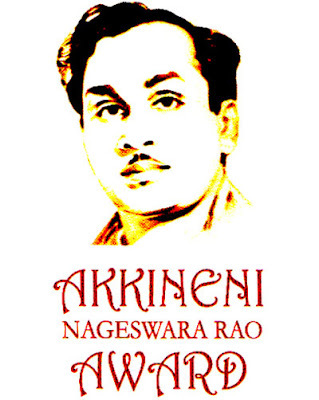 THE AKKINENI INTERNATIONAL FOUNDATION was established. It will take up activities to recognize and encourage those who excel in various arms of the industry. It also will institute an Award for Excellence in dedicating one’s life towards service to our medium. This is the culmination of more than six decades of a career in eight decades of life. This adds up to fulfilling a promise, I made to my conscience. I sincerely hope that this Award will transcend a feeling that here is one whose heart and soul are with Cinema and with those who serve its cause. Cinema is a prolific, pervasive and persuasive medium of mass entertainment. It is a cementing force in a world of stress and strife. It will live forever. The AKKINENI NAGESWARA RAO AWARD, I hope, will also live forever – celebrating Cinema with honesty and dignity. I, too, wish to live forever with my little deed – MY AWARD.